Companies are now looking for templates that are cool and modern, to suit their need and to send the message to the public. 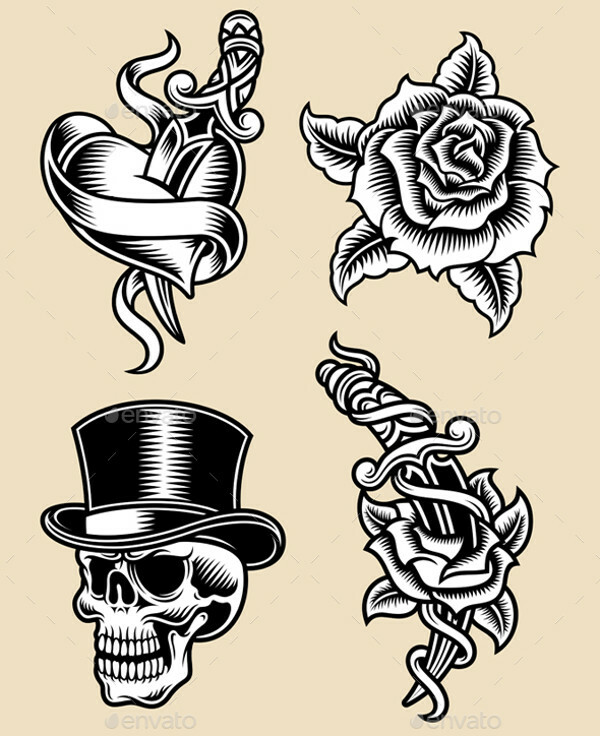 Combine these tattoo illustration with a rose illustration or a star illustration, to make it authentic. These templates are definitely one of a kind. They can be edited for use of any kind of parties or even concerts. Make your flyers attractive and creative, since creativity is part of your work regime, it is a given. You may also see Flower Illustrations. 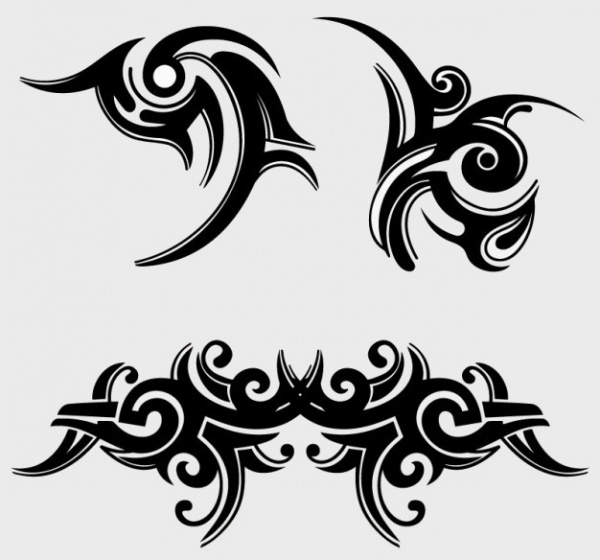 These abstract geometrical shapes that are combined to form a vertical stretch can be used by various tattoo artists, which are commonly found to be on shoulders and arms. They are attractive and common. You may also see Rose Illustrations. 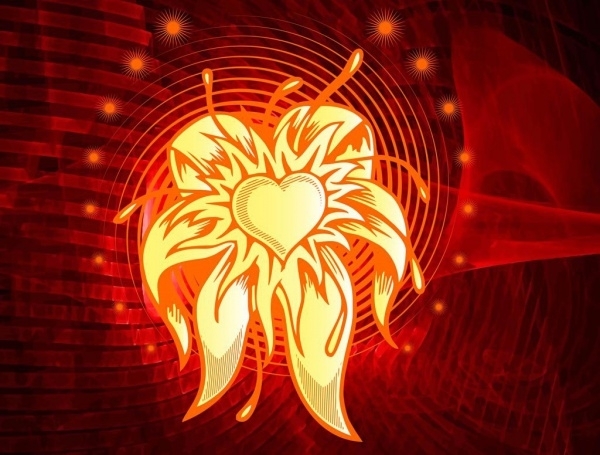 This bright heart tattoo illustration that gives an implication of burning in the abstract background is attractive to the eye. This tattoo is cool and modern. You may also see Landscape Illustrations. 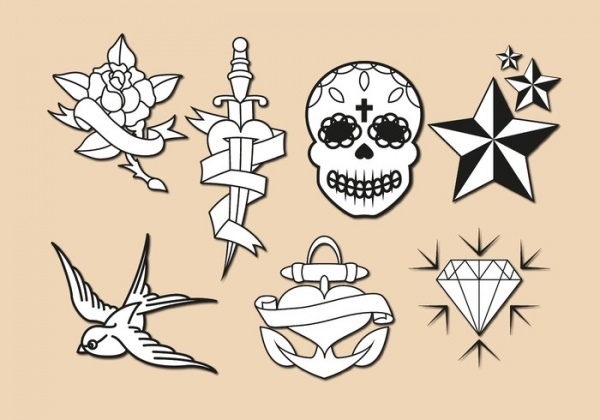 These black and white tattoo illustration images are simple and cool. They can be easily edited to fill in gradients and colors. They can also be changed in size. 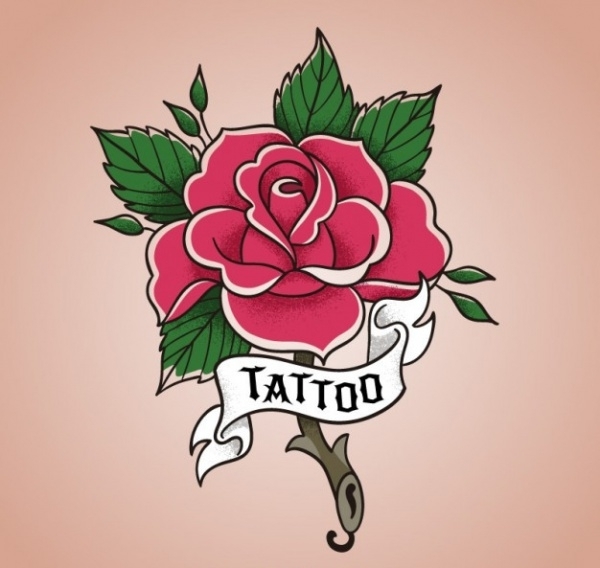 This rose tattoo design is vintage looking, and gives a feeling of pirates, with the skull and sword wrapped by weeds. They are available in EPS format. 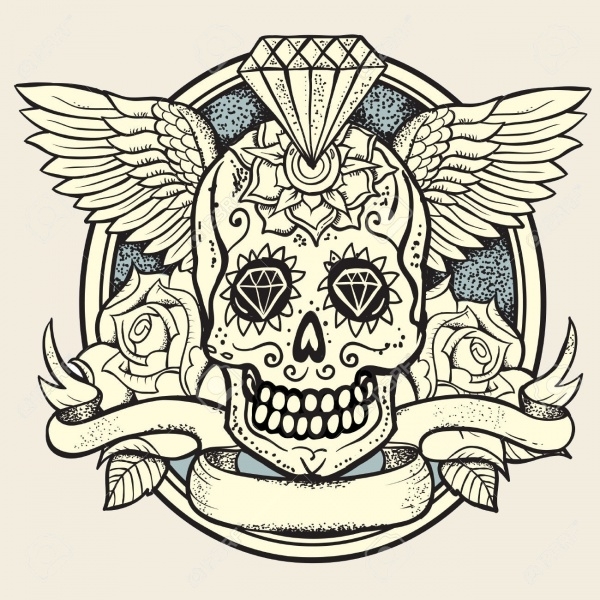 This vivid looking skull has the picture of being encrusted with jewels and designed with floral shapes. This is definitely a tattoo for the stronger minds. 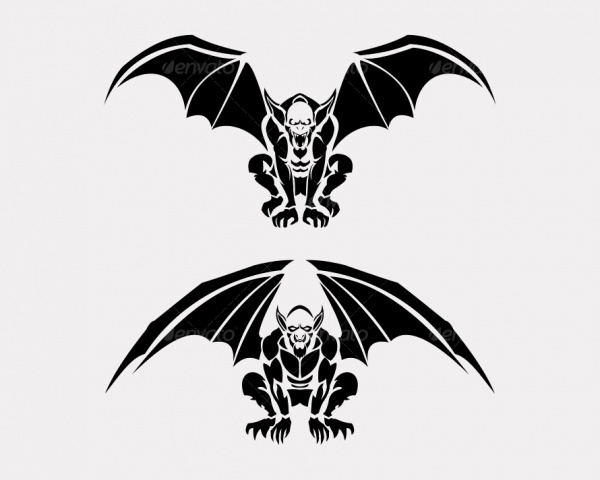 This black and white simple template of a tribal gargoyle is attractive and different. 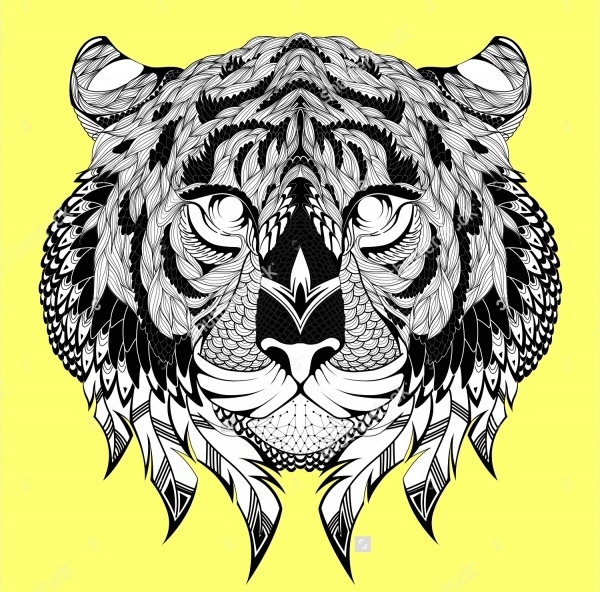 This vector is easy to download and edit, to change color or size. 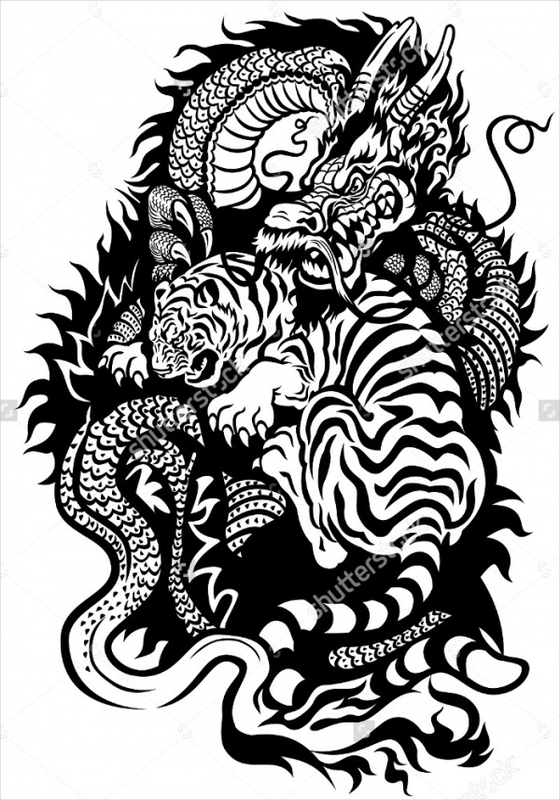 This black and white tattoo of a dragon fighting a tiger is attractive and eye-catchy. They are available in high resolution, HD quality and in various sizes. 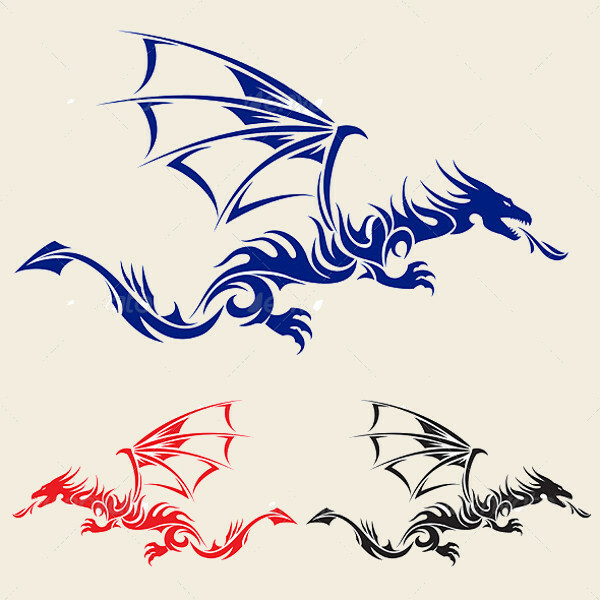 This Asian tattoo of a flying dragon is available in three bright colors of blue, red and black. They can be easily edited and changed. The body of the dragon is fiery and curvy, making it one of its kinds. 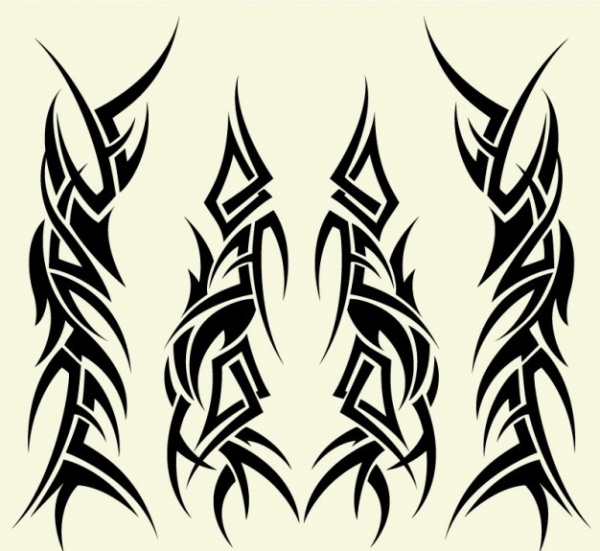 This sketchy tattoo design is available in high resolution and in various sizes. 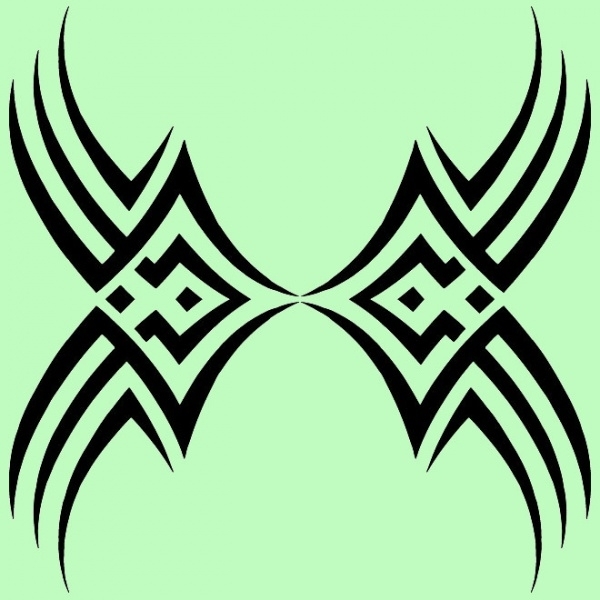 The tribal and intricate designs within the big picture is attractive and one of a kind. 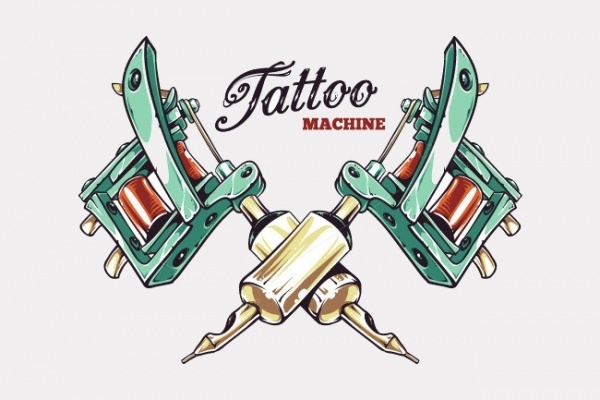 This simple and colorful design of a tattoo gun is attractive and simple, can be used as a template for any shop and flyers. 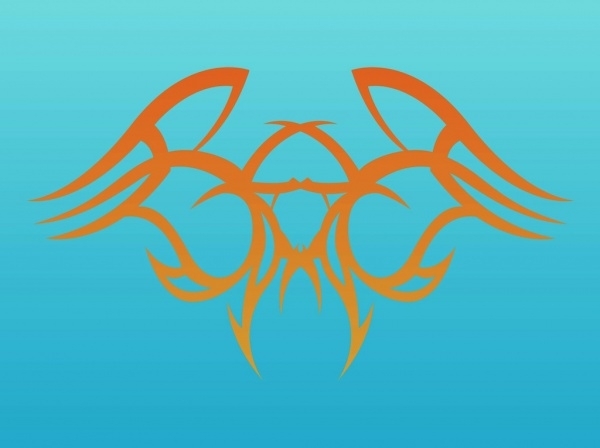 Combine this vector with geometric shapes in the background and create your flyer. 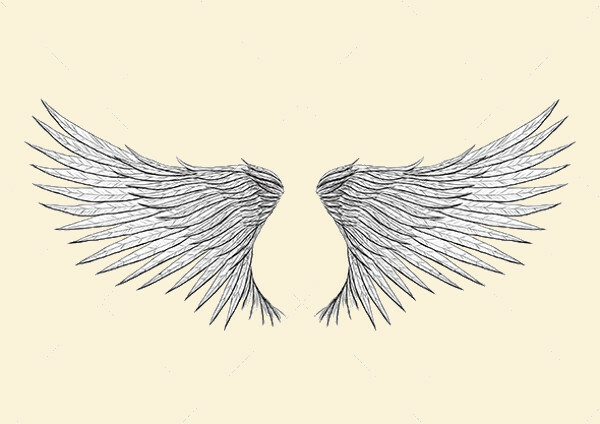 This simple set of wings is realistic and vintage. The feathers are hand drawn, and are realistic to the last detail. This abstract design is available in EPS format for easy editing. 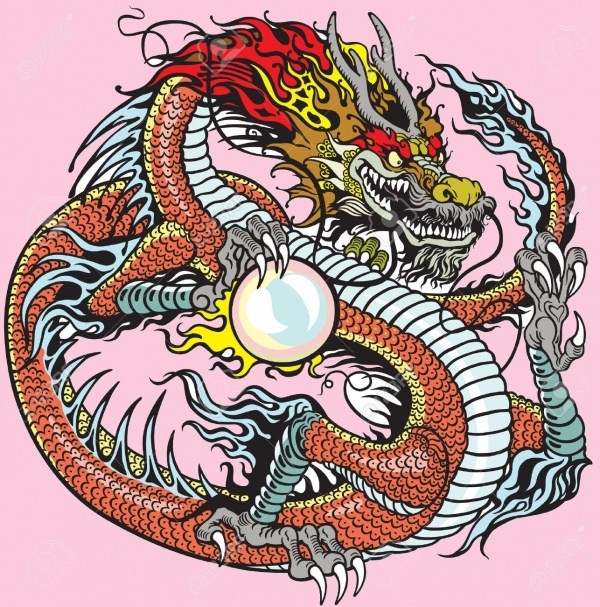 This Chinese dragon holding a pearl is realistic and attractive, with the use of lively and realistic colors to fill the dragon body. It is available in JPG and EPS format, and in various sizes. 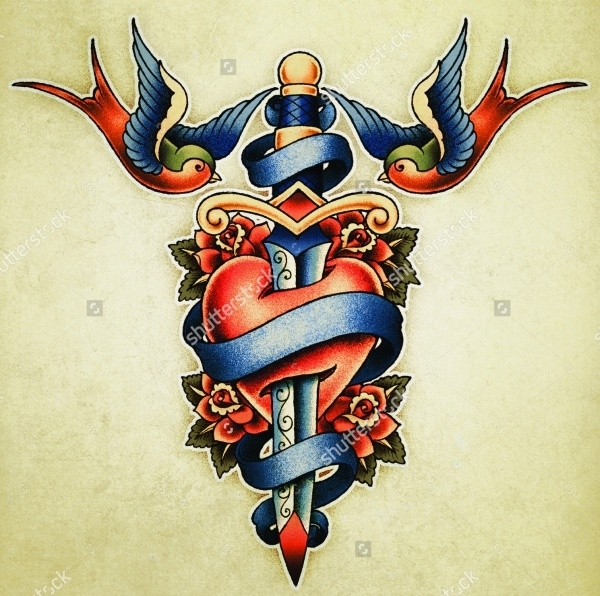 This simple tattoo of a sword through a heart surrounded by the ribbons and birds are attractive and realistic, with the use of watercolors. They are available in high resolution and in various sizes. 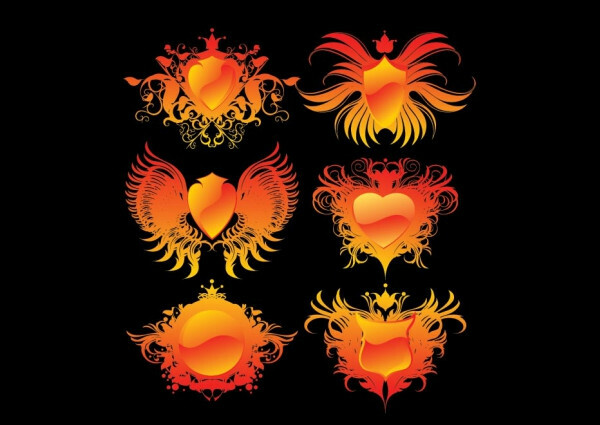 These fiery images of heart shield are in an attractive reddish orange, giving a gleam to the tattoo. This floral art surrounding a bold heart design is available in EPS format and can be customized. 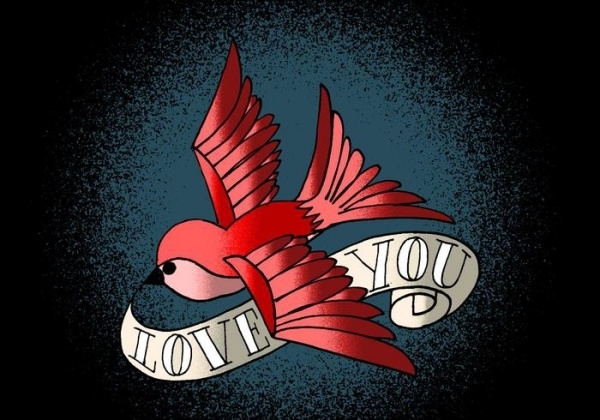 This simple tattoo with a grunge background is attractive because of the simple use of colors. The light mustard over the red heart complements each other, which can be edited easily. Create your own personal flyer using these templates as a skeleton for your design. They are creative and modern, attractive to the eye. 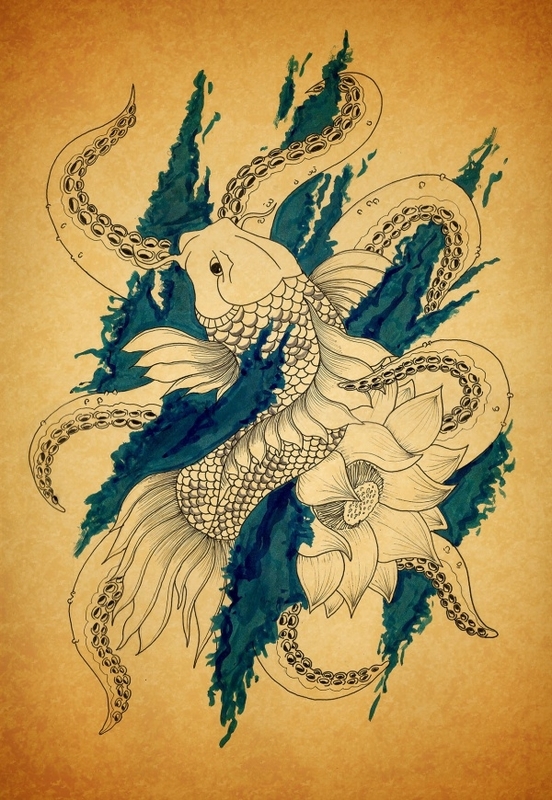 Combine your tattoo illustrations with flower illustrations and nature illustration and get the crowd’s attention by making them colorful and attractive. Use bold fonts and send your message loud and clear.